372X series Electronic Loads provide an adaptable, and functional asset wherever power sources need to be tested. These units are designed to provide high reliability, great performance, and ease of operation with multiple functionality. 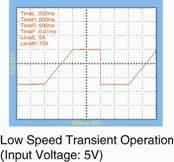 A high-speed, power limiting circuit can limit input power rapidly when it is overloaded, thus there is no need to interrupt testing. Equipment adaptability to complicated operational environments is thereby greatly enhanced. The specially ruggedized case with its rubber bumpers protects the load thus effectively prolonging the unit’s service life. The 24 bit A/D and 17 bit D/A converters incorporated, provide this equipment with greatly enhanced setting and measurement resolution. 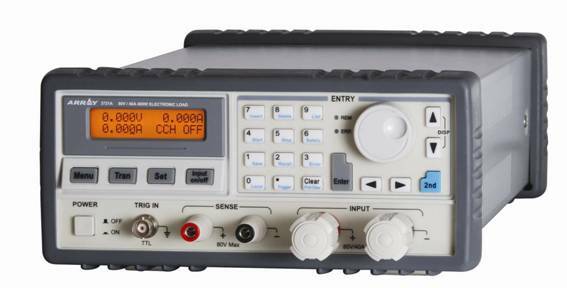 By supporting SCPI, it is easy to build an ATE (automatic test equipment) system that works with other programmable instruments via optional RS232, USB and GPIB interfaces. Firmware can be updated online. (The warm-up time is 30 minutes. Specifications indicate warranted performance in the 25°C ± 5°C region of the total temperature range). *1. Maximum continuous power available is derated linearly from 100% of maximum at 40oC, to 75% of maximum at 55 oC. *2. Conductance (S) = 1 / Resistance (Ω). *3. The set level is 10 times larger than the slew rate in CCL mode. *4. The actual transition time is defined as the time required for the input to change from 10% to 90% or from 90% to 10% of the programmed excursion. *5. 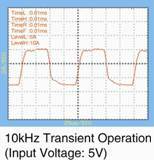 Transient frequency depends on the time for high/low level and rising/falling edge. *6. Full remote control via RS232 with optional GPIB and USB.